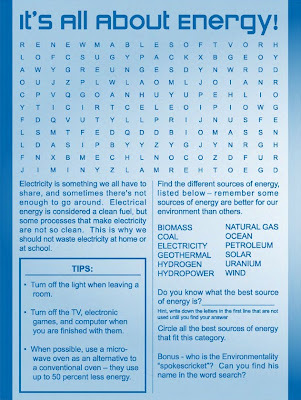 Today, for all of the Young Environmentalitist out there, an activity from the Fun with Environmentality Activity Book. 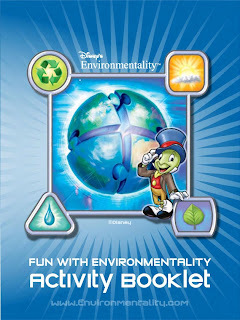 Be sure to check out the remainder of the book for more activities, facts, and environmental friendly ideas. Also, for those who are handy with puzzles, somewhere on the word search activity page is a hint towards tomorrow’s topic. Enjoy, good luck, and be magnificent!